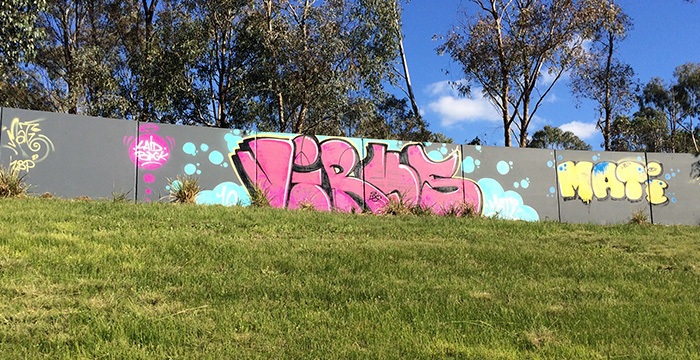 Graffiti vandalism is widely considered a problem perpetrated by the youth. Some of the reasons put forward for this type of behaviour are the perpetrators that normally carry out these acts are under-achieving youth who are bored, alienated, lack employment or leisure opportunities, or come from broken homes. Other reasons could be the youth are looking for recognition, fame or identification. Whatever the cause, this has continued to be a growing problem for city authorities. spray paint graffiti removal, or removal of spray paint graffiti poses a big challenge to both them and affected private individuals. 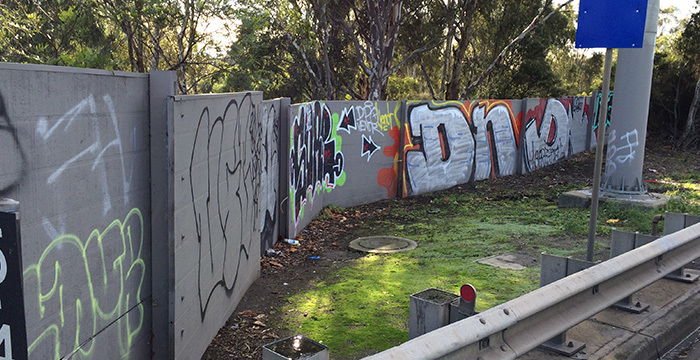 We at Graffiti Wipe Out offer graffiti removal services or paint-outs, plus flexible reporting that includes photographic evidence when requested, one-off, or ongoing maintenance of structures, graffiti removal solutions and solvents, DIY graffiti removal kits. We specialize in both commercial and public assets. The removal of graffiti is not always a cut-and-dried affair. For rough surfaces such as concrete and brick, or surfaces that have had paint for a long time, it is a little more complicated than just spraying solvents on and wiping off. Spray paint is very difficult to remove from concrete, but is even more challenging to remove from wood. What makes the process of removing spray paint off concrete quite challenging is the surface is relatively porous, rendering it almost impossible to get all the paint off. Removing graffiti off wood poses an even greater challenge as it has to be taken off quickly enough to prevent it from seeping in and damaging the wood permanently. Different substrates require different treatment and our staff make impartial recommendations on what products to use, based on individual analysis. We evaluate each cleaning method on a case-by-case basis. We offer quick removal services. 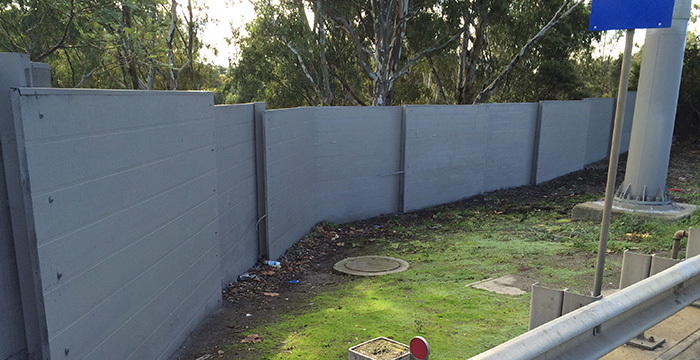 Over the last 26 years we have removed thousands of square metres of graffiti and also gained much experience in the application of graffiti coatings. This know-how allows us to quickly formulate the right solution for each task we undertake. We would be happy to bring this experience to you. We supply two types of DIY Graffiti Kits, one for masonry and brick surfaces, and the other for painted substrates to assist you to do your own (small-scale) graffiti removal. City Councils also distribute our kits to their ratepayers for small graffiti attacks. Stripping of failed coating on the Pakenham Bypass; and many others. 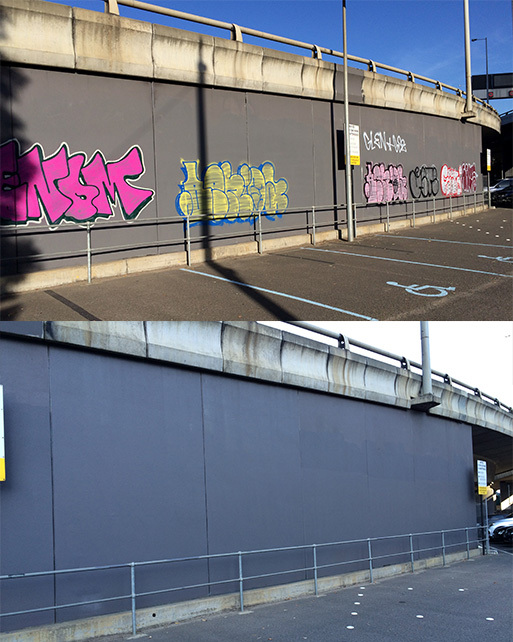 Application of mineral paint & graffiti protection to Martha Cove marina underpass. Why not let us undertake your graffiti clean up? See our clients testimonials online. 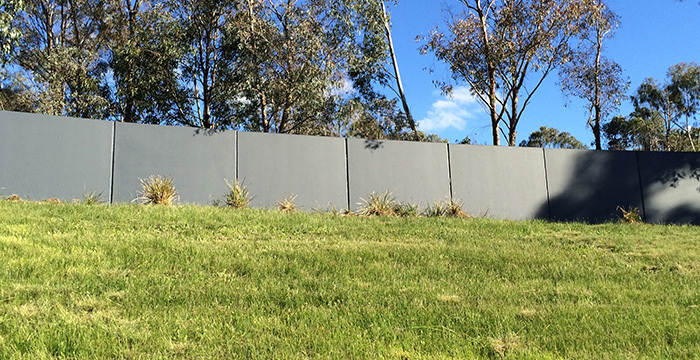 You can reach us on 1300 889 831, or enquire here. We’ll be happy to get back to you.